So, as I’ve shared in the past, I’m not a huge meal prep supporter.. However now that I’m responsible for all of my own meals, I’ve concluded it may be time to dabble in a bit of food planning. This shift isn’t for the purpose of staying on track for gains, but to help me keep my sanity… bc I hate rushing & not knowing what/when I’m going to eat. I also don’t want to spend my time after work making food.. SO! 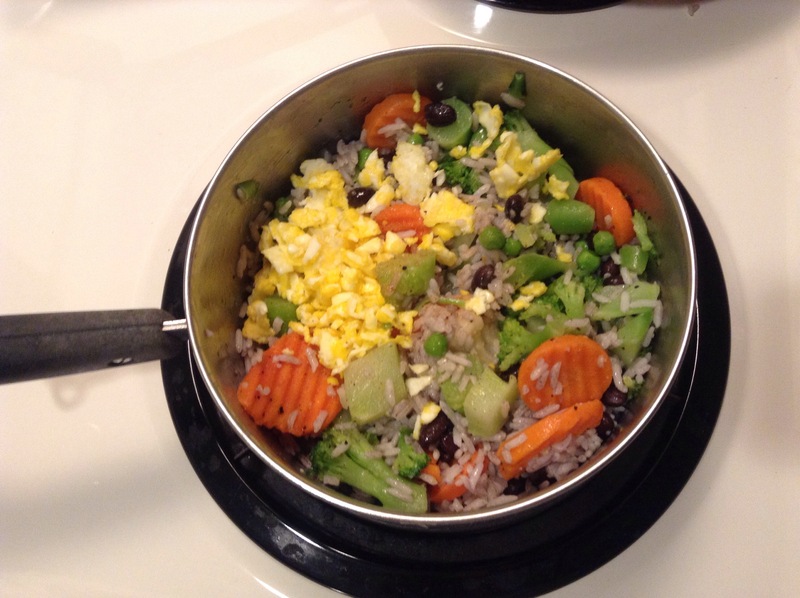 I tested the waters last week with my new rice/slow cooker (thank you to my family for being great gift-givers). 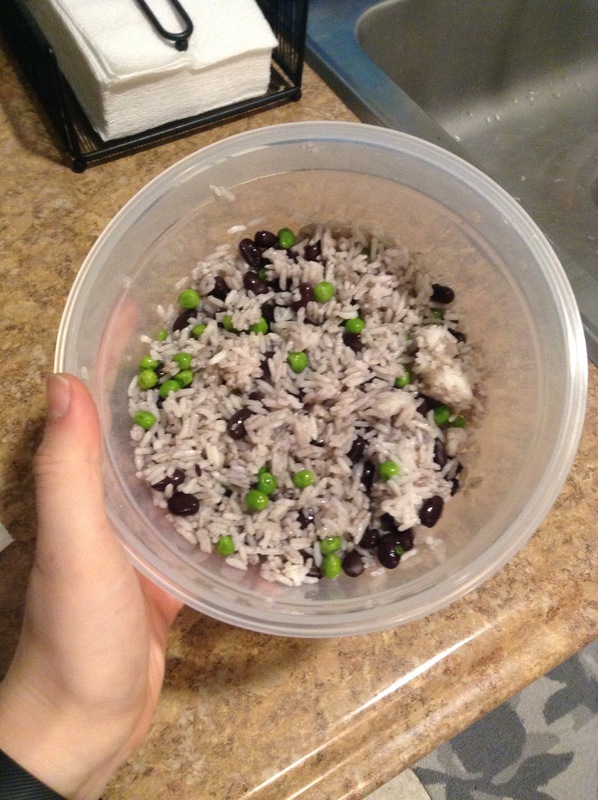 I’m always hungry so I decided ‘yea, I should definitely make 3 four-serving cups of rice :D’ & added some peas & black beans to the mix. Well, a week later, I’ve been eating the same damn rice for a week. Which is exactly why I’ve always avoided meal prepping. LOL @ the irony right?? Yesterday I figured out an easy way to re-purpose my remaining servings of rice. It was super simple, & delicious! I’m here to share my steps to revitalized meal prep. What I’m learning is that leftovers & food planning doesn’t have to be a burden. This re-do of last week’s meal prep took me about 15 mins & was done on very low energy. I’ll share more as I climb the learning curve!! 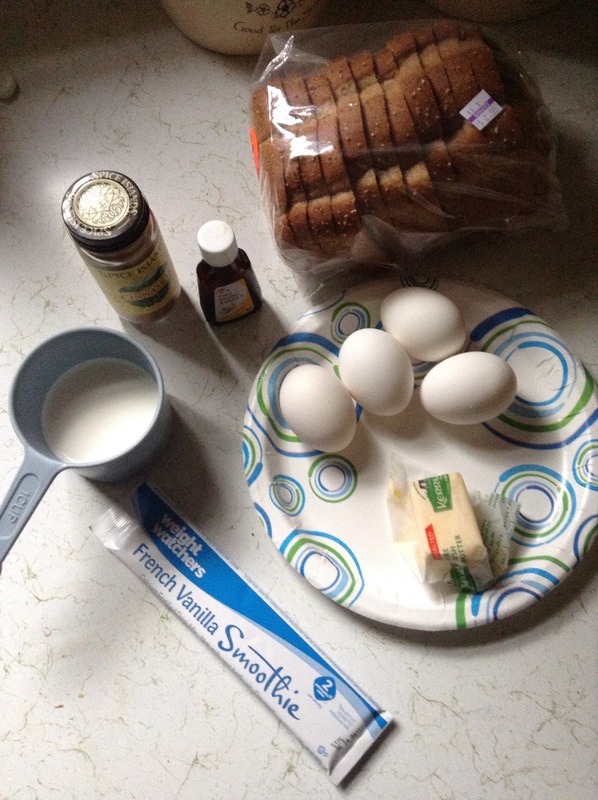 This morning I had some extra time before work & decided to make myself a real breakfast.. 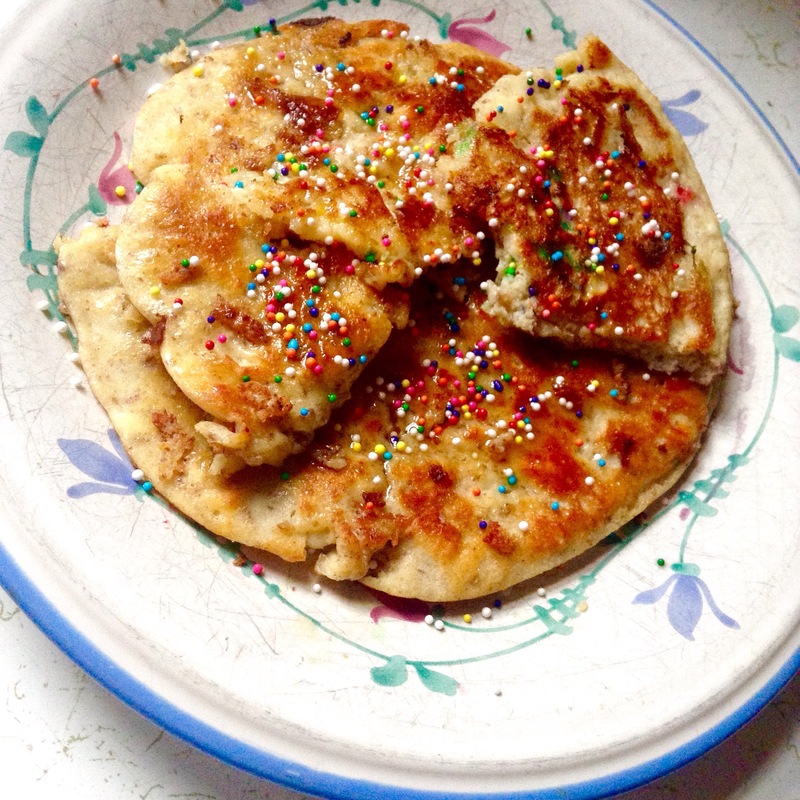 Vanilla protein pancakes seemed like the perfect way to start my Friday. With just four ingredients & about 30 grams of protein, the real MVP of breakfast is protein pancakes. Start by mashing the banana in a bowl- I’ve found a fork works best. 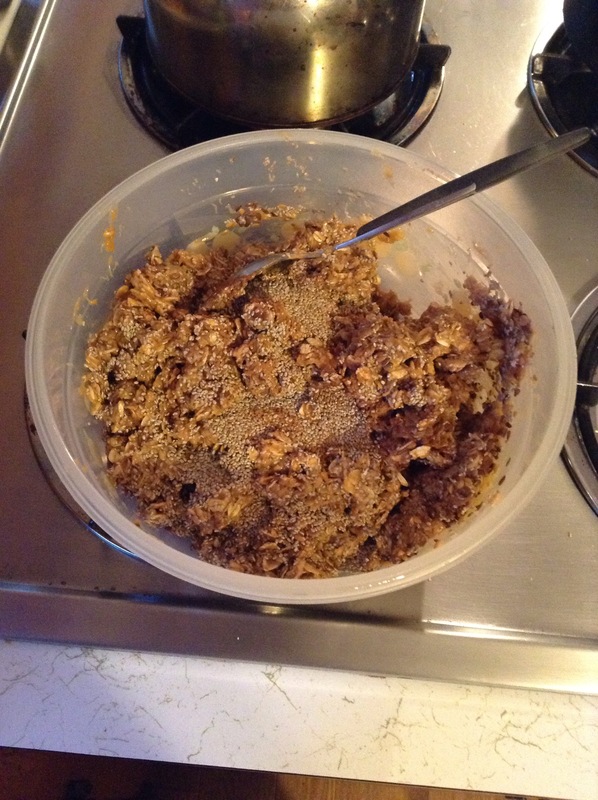 Add the egg & mix until there’s a nice lumpy consistency.. Make sure the yolk is broken & spread throughout the mixture! 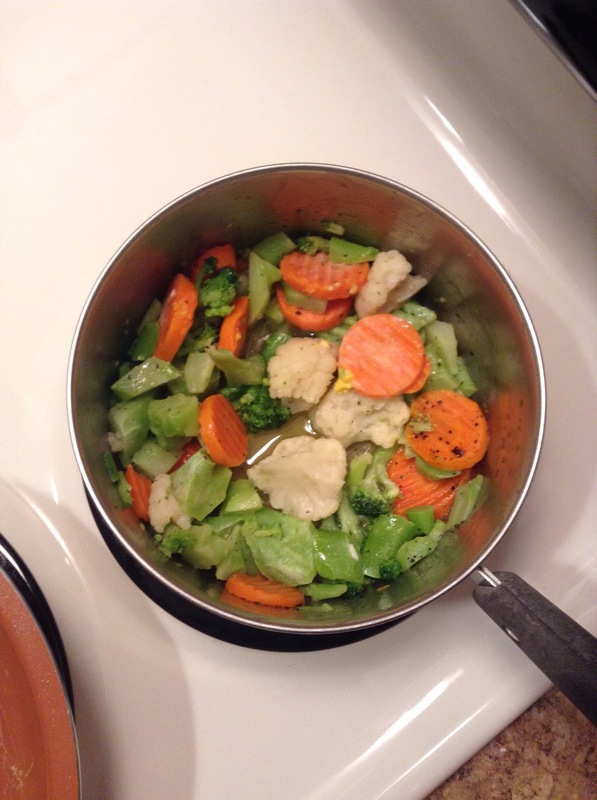 Warm up your pan with whatever oil/butter of your choice. I used olive oil- would probably go with something lighter next time. 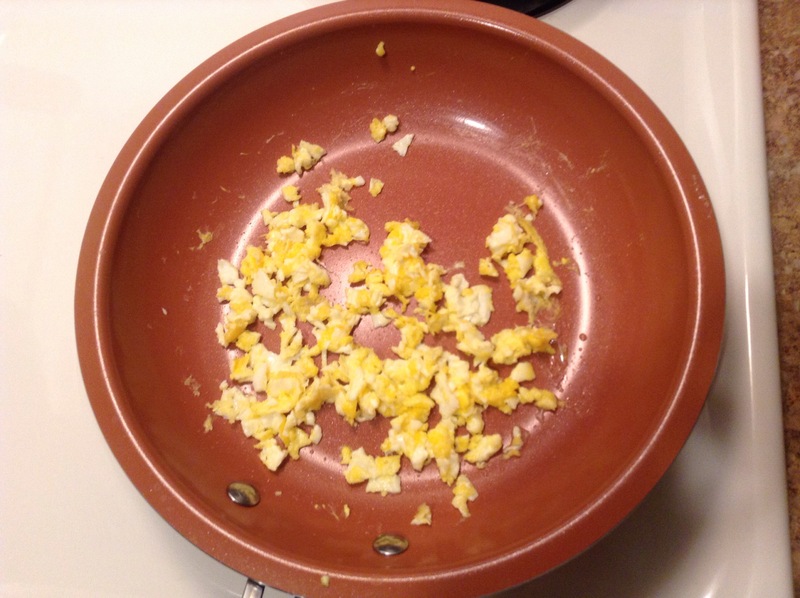 Whatever you use, make sure you use enough to cover the pan so your pancakes don’t stick! 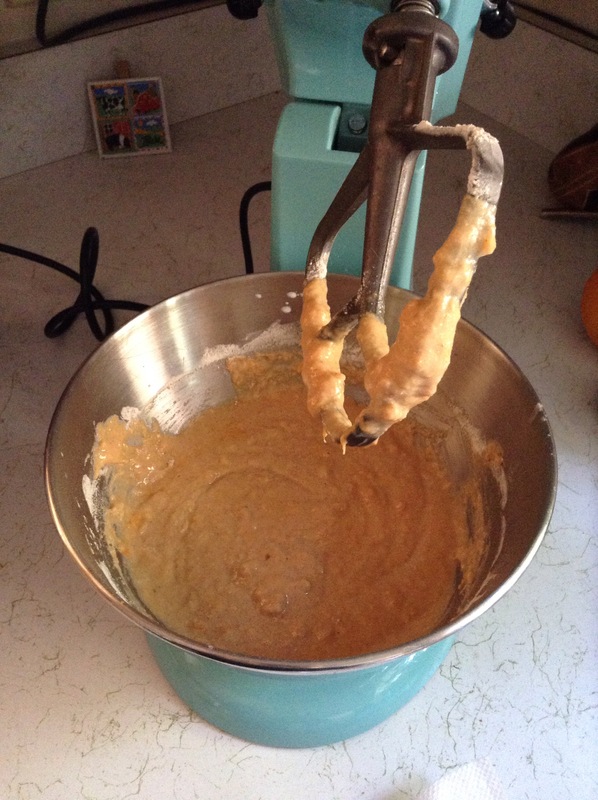 Pour your batter in & watch the magic happen. ….Ok actually I JUST learned how to flip my pancakes without completely messing them up…so maybe what happens won’t be magical. 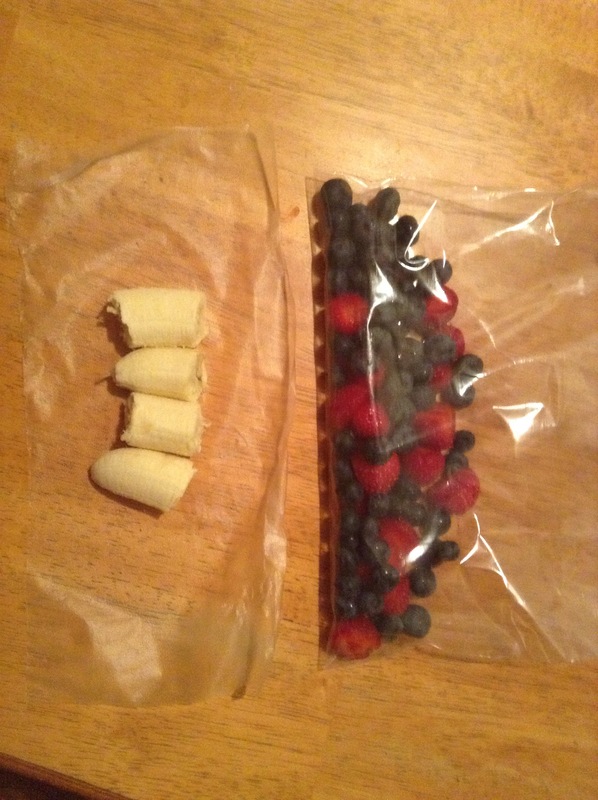 Either way- your little creations should be ready to eat in about six minutes. 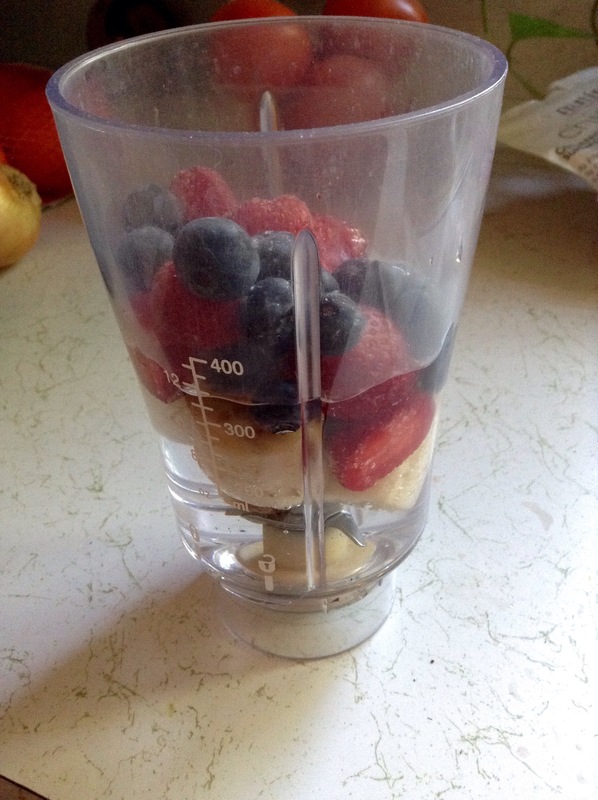 Add some peanut butter, fruit, chocolate chips, syrup, sprinkles, or whatever else you desire! Enjoy!! I’m all about high-protein recipes. 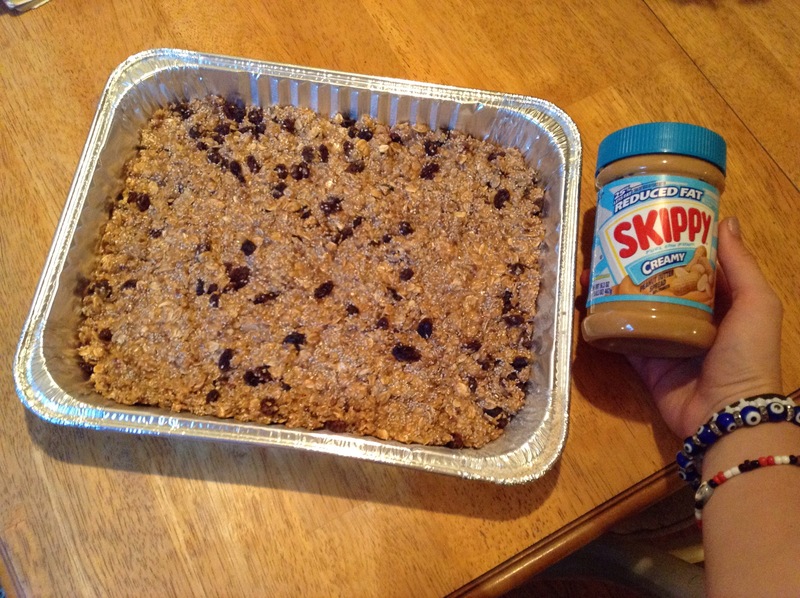 If you can make a protein version of a food, I will. From pancakes to muffins to chilli, nothing is safe.. My family thinks it’s annoying but they will thank me when their muscles are happier than they’ve ever been! 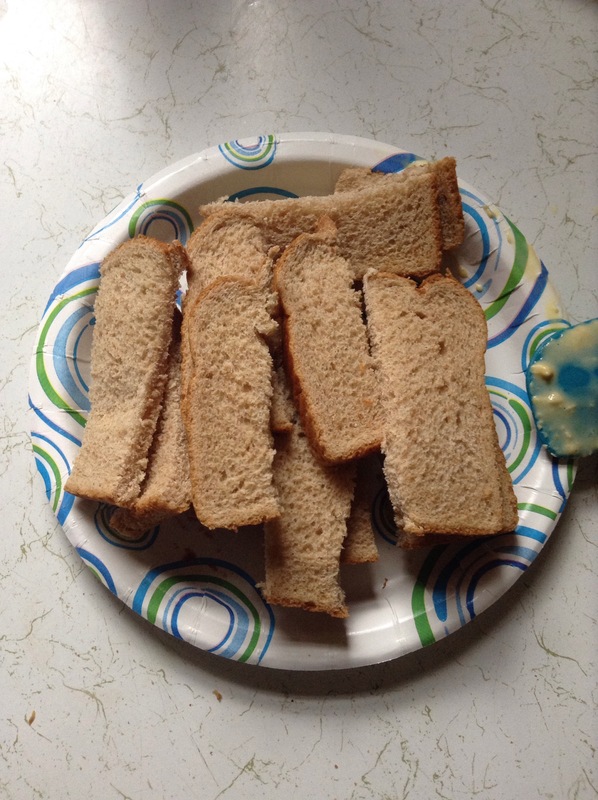 I was browsing le internet recently & found an article (click here to read) that had some info on how to turn an average breakfast classic into a protein-fest. 🙂 French Toast..plus protein.. Yes please!! First step (which I regrettably skipped) is to melt the butter. It may have something to do with the protein powder, but solid butter didn’t blend into the mix..
Preheat your oven to 350 & lay some parchment paper on a baking sheet. 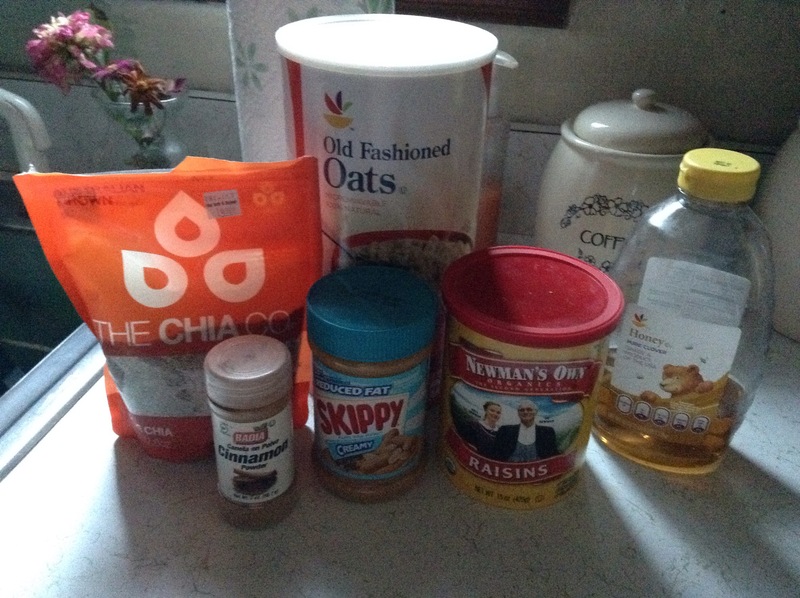 Then you’ll add all of the ingredients to a blender or food processor. Mix them until they’re….well, mixed. 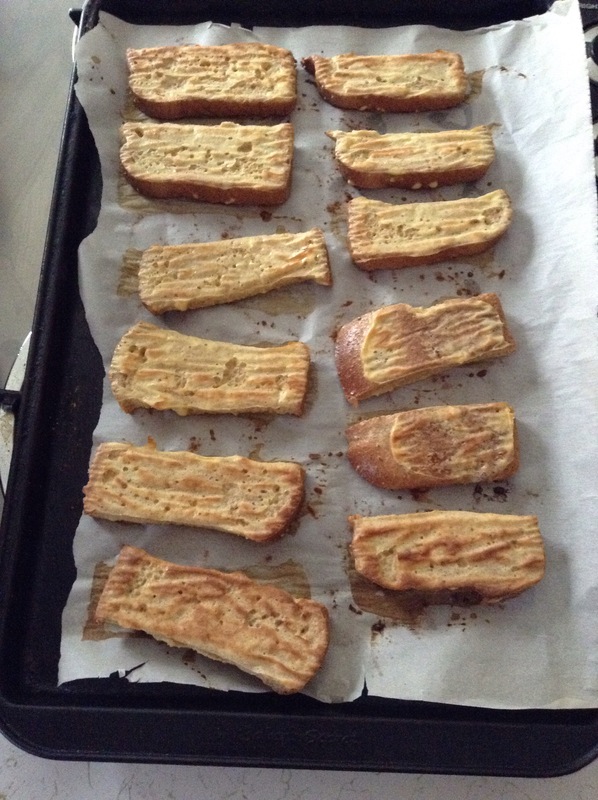 I cut my bread into strips, because French Toast Sticks seemed like a cool idea. 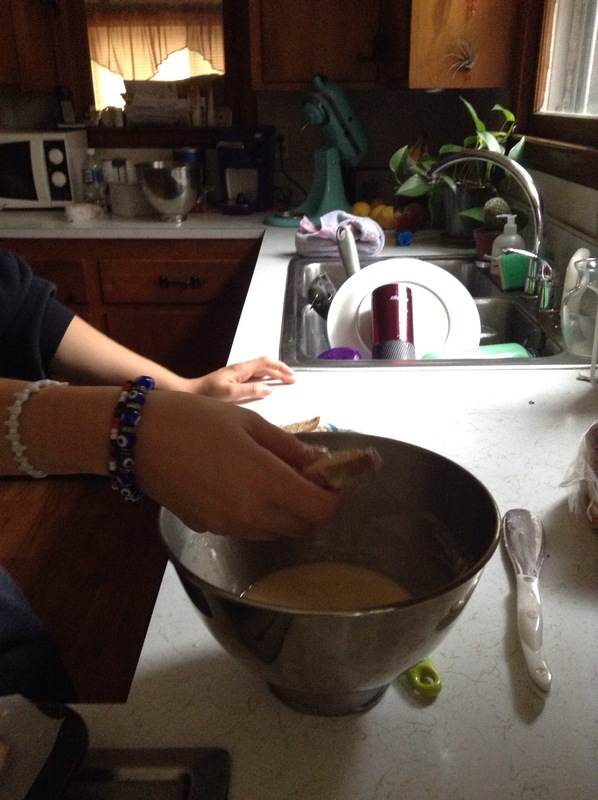 Then you’ll dip your bread into the liquid mixture. It only works if your sink (like mine) is overflowing with dirty dishes. 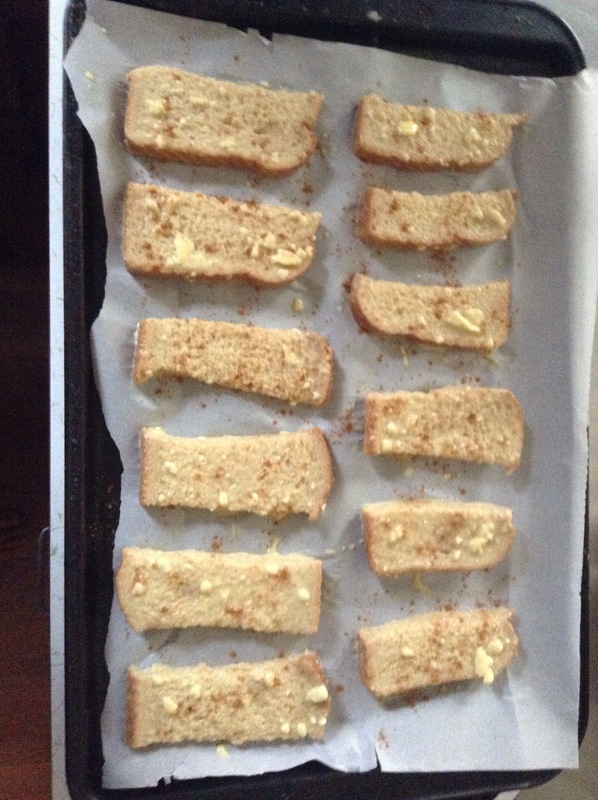 After 10 mins you’ll want to flip the toast so both sides get evenly cooked & crisp. This is what a side that’s fully baked looks like. Delicious. 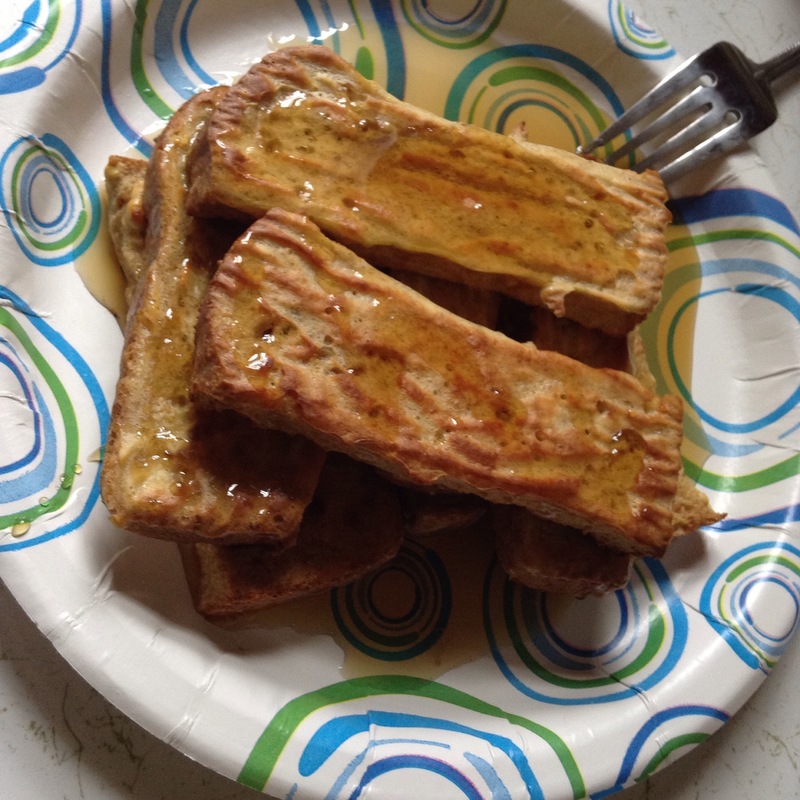 Top your toast with syrup, confectioners sugar, sprinkles, fruit, or even more French Toast- whatever you want! Fall has arrived. & there is no better way to spend a fall morning than with the sun warming your toes, hearty pancakes warming your belly, tea warming your soul, & a bee trying to fly up your nose! Welcome to my Sunday morning!!! I decided to use the microwaveable sweet potatoes I had bought a few weeks ago. Actually, I only used one..but it’s progress. 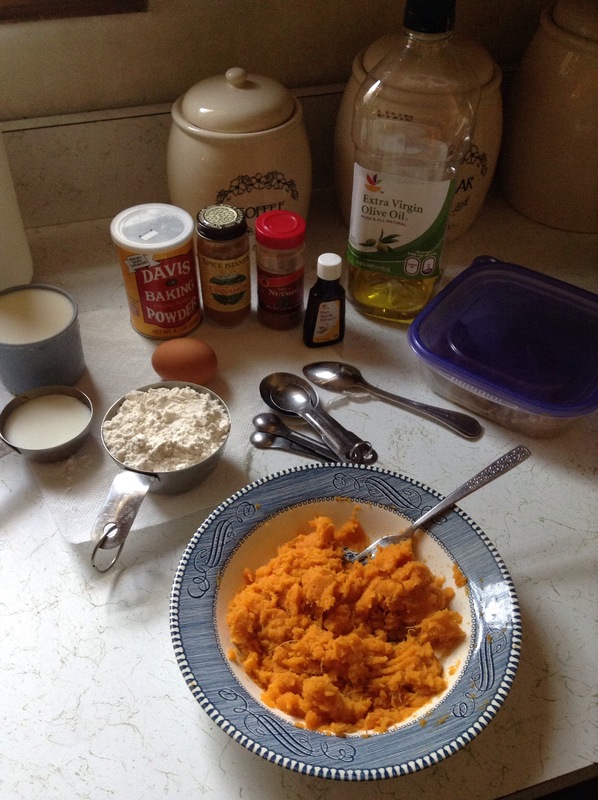 Sweet potatoes are full of wonderful vitamins & nutrients that our bodies need. Beta carotene, fiber, Vitamin A, Vitamin K, Vitamin C, Vitamins X, Y, & Z! You get the point. Sweet potatoes are cool AF. What better way to eat a really cool food than using them for something that’s also super cool?! 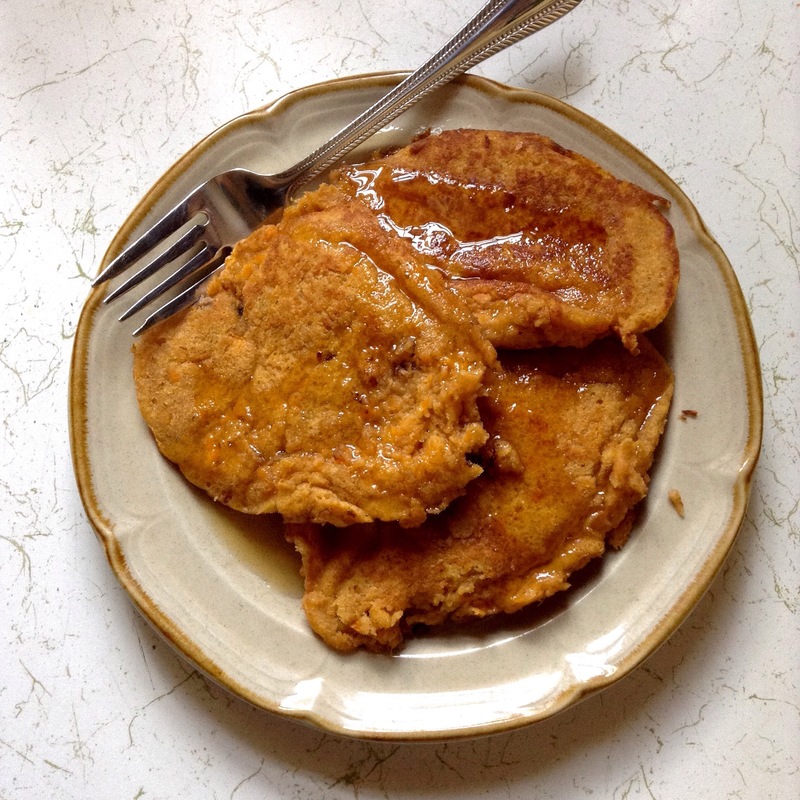 PANCAKES 😀 Sweet potatoe pancakes make for a more satisfying pancake-eating experience than your typical pancake can give you. Trust me, I am a pancake expert (no I’m not at all). 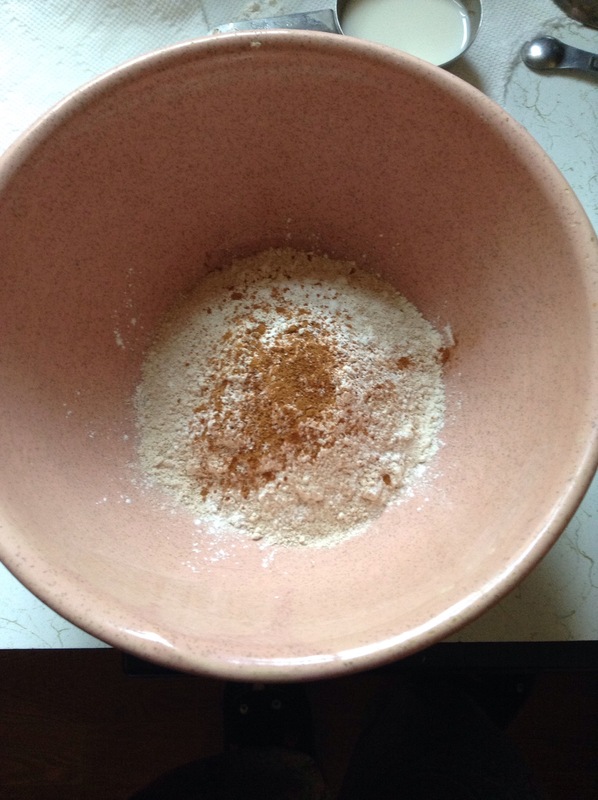 Mix everything else together in a larger bowl. Slowly add the dry ingredients to the wet until they’re just combined. 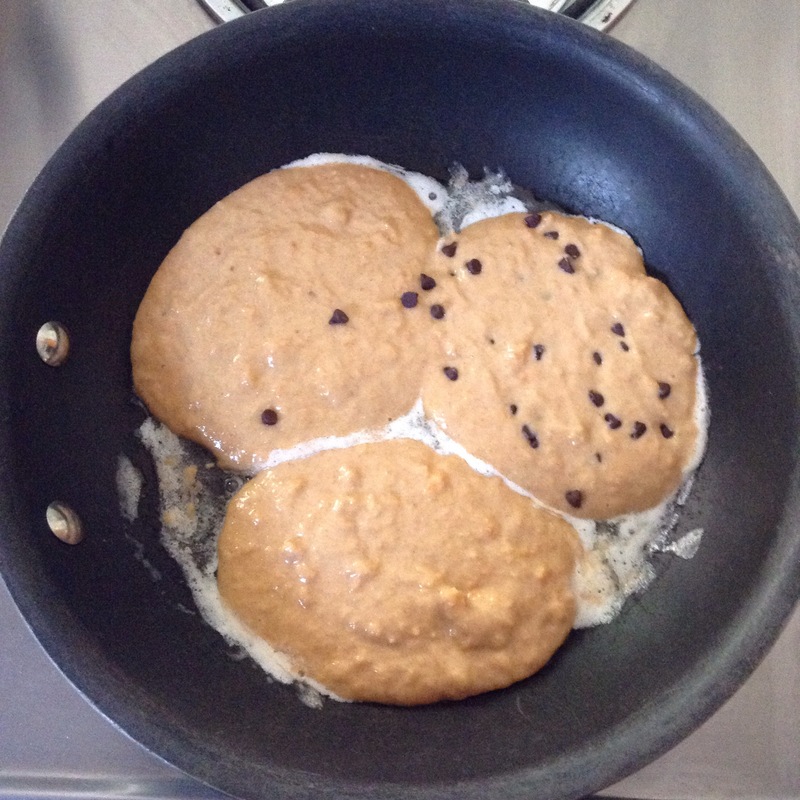 Leaving air bubbles/small clumps in the batter will make for fluffy pancakes! Throw some butter in a pan & add however much batter you want to form your pancakes. I also added dark chocolate chips to one because it seemed like a great idea. It was. Mine took about 3 minutes on each side, then I gave them a few extra minutes to crisp up. Here’s how you can do for your coffee what it does for you; make it bulletproof. I feel that coffee is best when you brew yourself a cup so you can enjoy the taste, rather than drinking it because you need it. But let’s be honest….some mornings/days getting out of bed feels like entering hell & coffee is the only thing that can bring you back. You need it to be bulletproof! 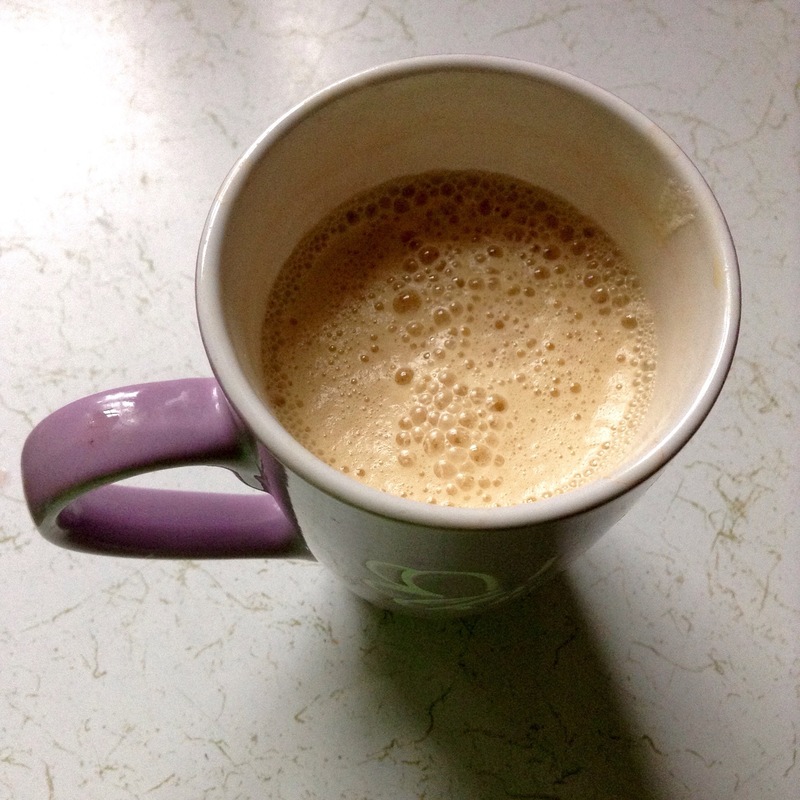 Making bulletproof coffee is super easy & actually adds to the health benefits inside your mug! Brew your coffee as usual. Pour it into your favorite mug….or whatever mug happens to be clean..
Stir in a tablespoon or so of butter (organic/grass-fed butter has the most health benefits). You can also add coconut oil for a supercharged drink. 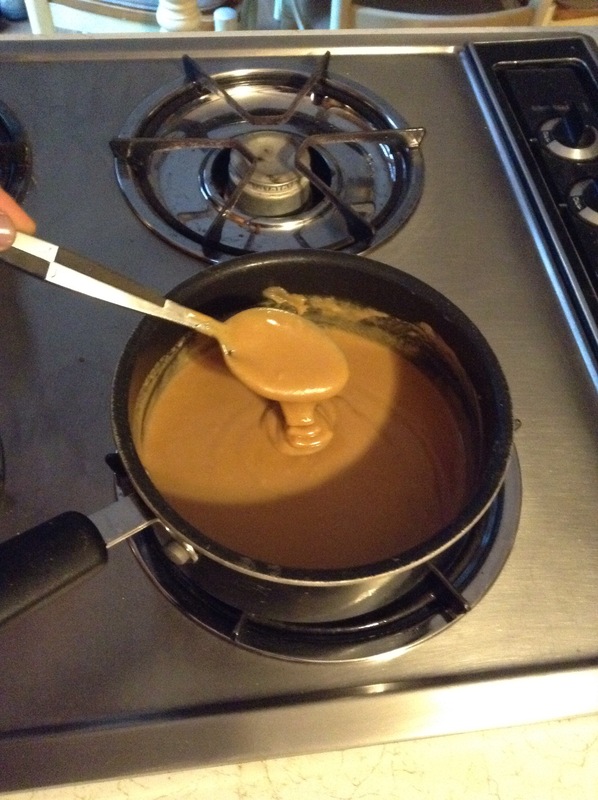 Better yet: blend the mixture!! The butter emulsified & creates a heavenly coffee energy drink..
Top it off with milk/vanilla/cinammon, whatever your usual coffee routine is. I drink my coffee black, but this is a superb alternative to cream. 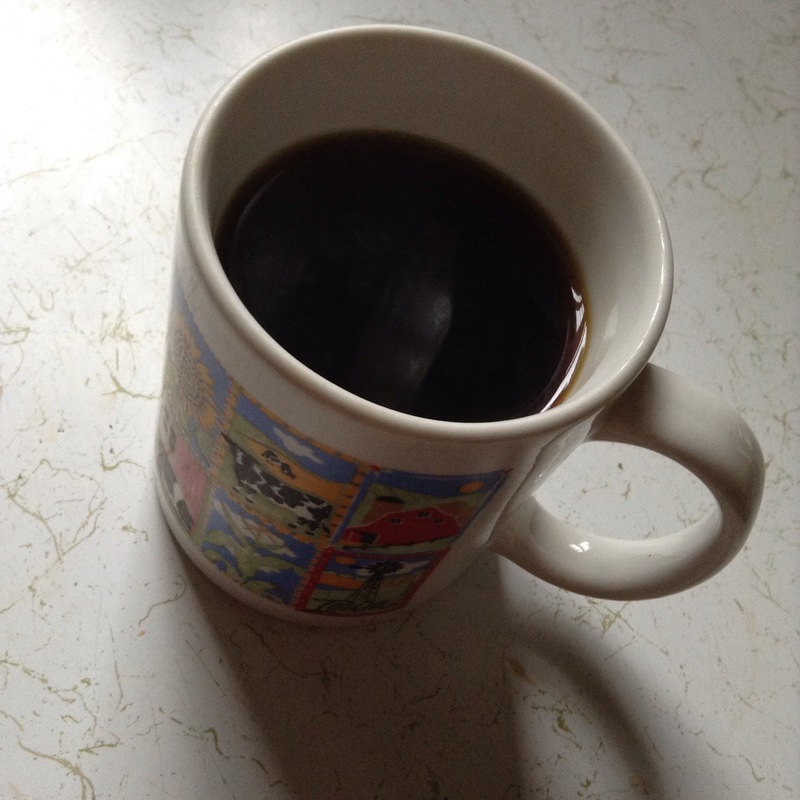 The coffee tastes less bitter but it’s flavor is unchanged, there are way less chemicals/added crap in butter, & it will give you extra energy rather than leading you to a crash. It’s a creamy cup of coffee goodness. How can you go wrong?! Ta-da! Now your coffee will not only help you stay alert, it will also help you burn fat throughout the day 😀 By providing your body with the healthy fats it needs, you’ll kickstart the fat burning potential of your body. 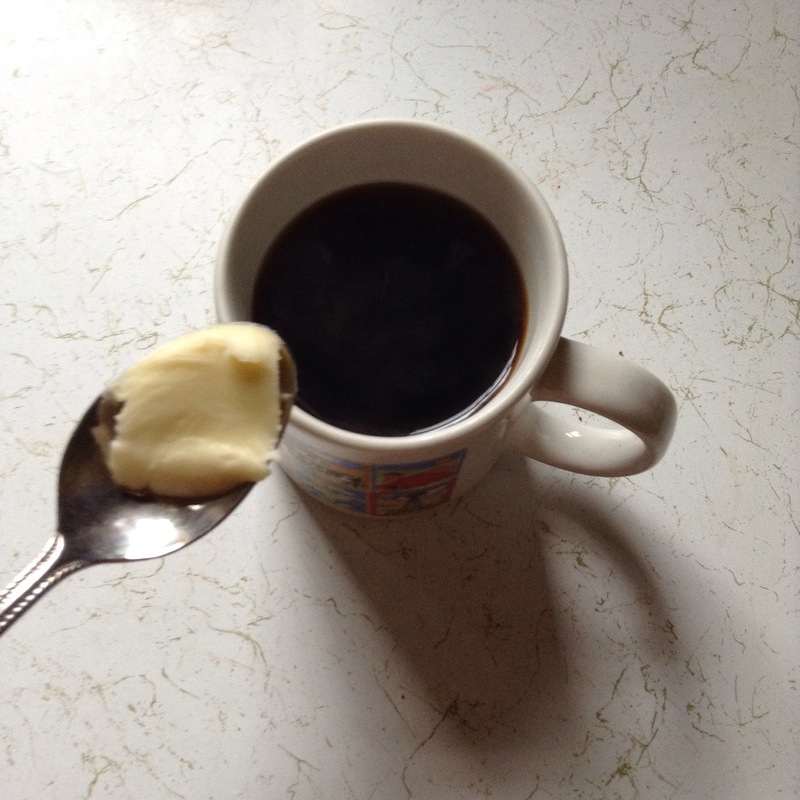 The fat in the butter also helps you carry the caffeine longer. More energy, less crash! 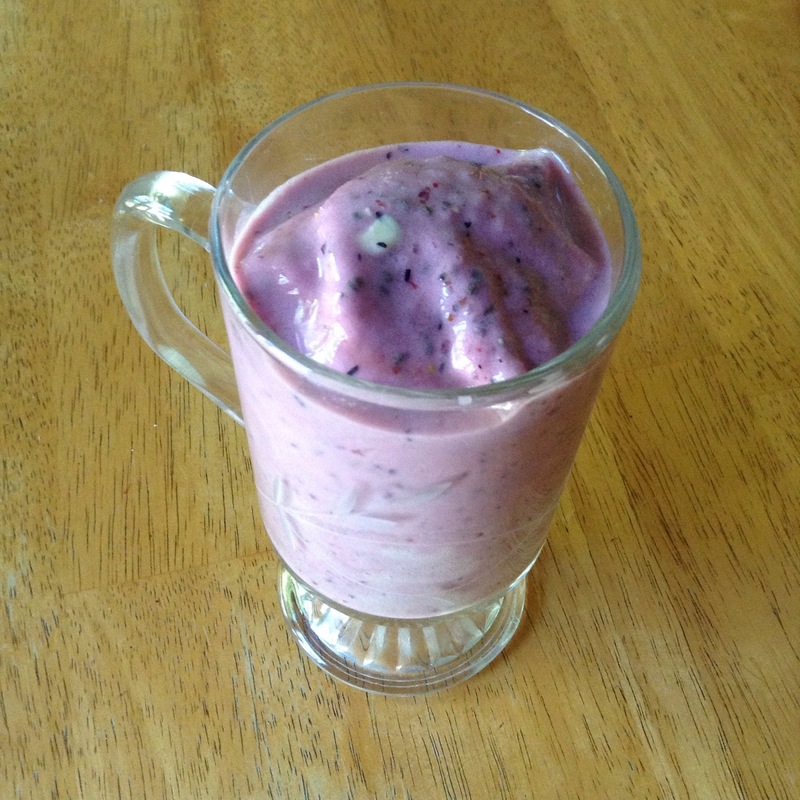 It’s important to fuel your day in a way that benefits you- & this is a great place to start! 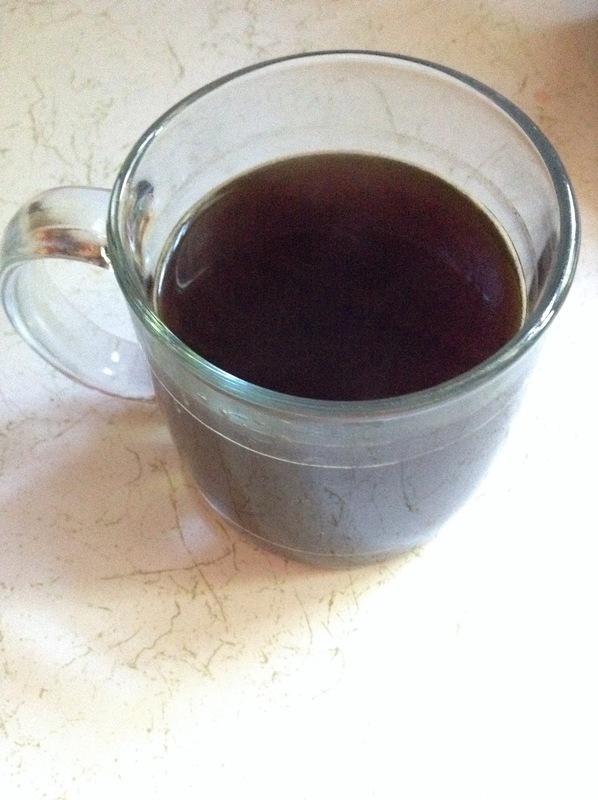 I’m sure there are tons of other variations of bulletproof coffee out in the universe. Let me know how you make yours, I’d love to try something new! !